Thanks for checking out Z2 Premium Bags. 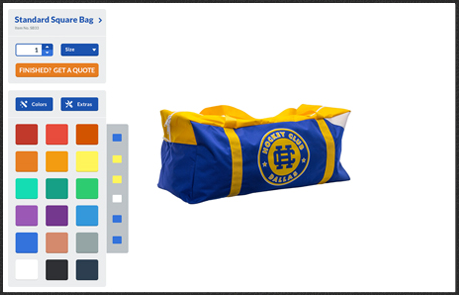 If you are looking for a high quality sports bag that you can customize to your team, organization or store, you have come to the right place…Now click the button and get to work! "Z2 builds a high quality bag that looks great and withstands the wear and tear of travel. Their customer service is top notch! 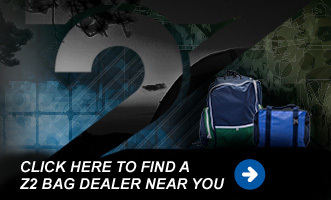 I would definitely recommend Z2 bags!" "University of Georgia hockey continues to use Z2 bags because the quality and look of the bag is second to none. When I see our alumni still using their bags years after they have graduated, that is a testament to the longevity. Equal to the quality of their bags is the level of customer service at Z2." "We have used multiple suppliers for our hockey bag needs and have found Z2 to be the best. They make a quality bag, accustomed to our needs, at a great price. They are a pleasure to work with and always deliver on time." "We’ve been using Z2 bags for over 5 years now and the quality of the bag has never faltered. The service has been top in the industry since day one. We continue to you use their custom bags because there is none other like it on the market." — Aaron Specker, Team Sales Specialist - Total Hockey, Inc.
"The size, the durability, the extra two color straps and extra pocket options, really worked out well. Besides being very functional, they had a nice look to them. We hope to use these bags for years to come." "We have been using Z2 bags for a few years now. The staff is easy to work with and we are very happy with the quality, price and delivery." “Z2 bags have quickly become the preferred Bag of choice for customers. The quality beats most competitors & consumers love the fact they can build the bag exactly to their liking." "I have had experience with them for over 25 years and they are my go to bag supplier. Personally I ordered bags for my two children when they were 2nd year Squirts. They used these bags all the way through High School both in the summer AAA programs and their winter hockey leagues." The z2 bag is perfect for my Aikido (martial art) travel as I need a sharp-looking, durable bag that is not too large or small. My motto is low maintenance - high performance, and this perfectly fits z2's bag quality and customer service! !